If you live in St. Paul, Minnesota, and need to remodel a bathroom in your home, consider putting the project into the hands of the pros at U.S. Patio Systems and Home Remodeling. We are a full-service bathroom remodeler that is owned by home improvement professional Craig Dauffenbach. With our help, you can remodel a bathroom without having to wait days or weeks to enjoy it, as we use products that can make a world of difference without requiring a lengthy period of time to install. U.S. Patio Systems and Home Remodeling is accredited by the Better Business Bureau (BBB) and is also an Authorized Service Provider for The Home Depot, an affiliation that requires extensive background screening, skills verification, and proof of liability coverage. Plus, we source our products only from reputable suppliers, including Bathwraps (tubs and showers), The Onyx Collection (tub and showers), and Safe Step Walk in Tub Co. (walk in tubs). For more information, please contact U.S. Patio Systems and Home Remodeling today. 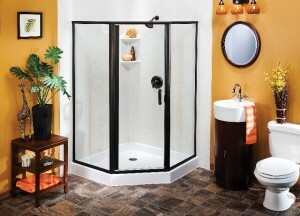 We are available to remodel a bathroom in your home anywhere in the St. Paul, MN, area. As an authorized TEMO dealer, we also proudly install sunrooms, screen porches, patio covers, and pergolas.